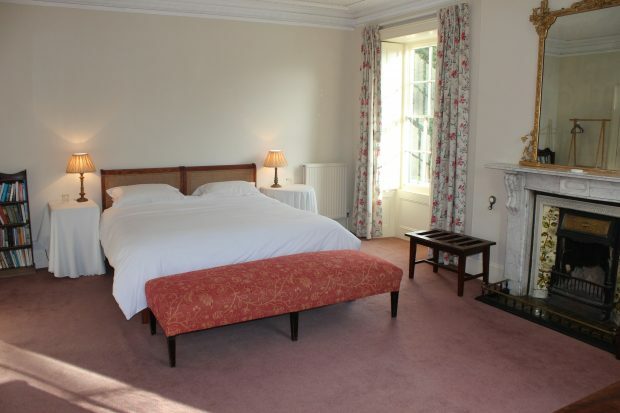 We have two twin/superking bedrooms, one in the Victorian wing, with adjacent bathroom and the other on the Georgian south front, with a more distant bathroom (bathrobes are provided). 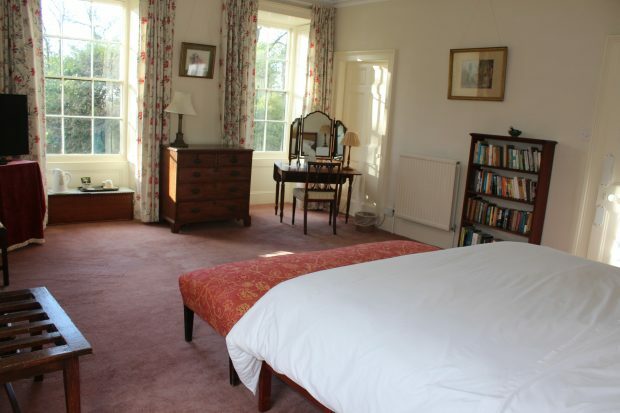 This bedroom has a lovely view, with the scent of jasmine and wisteria in season wafting in from the outside wall. 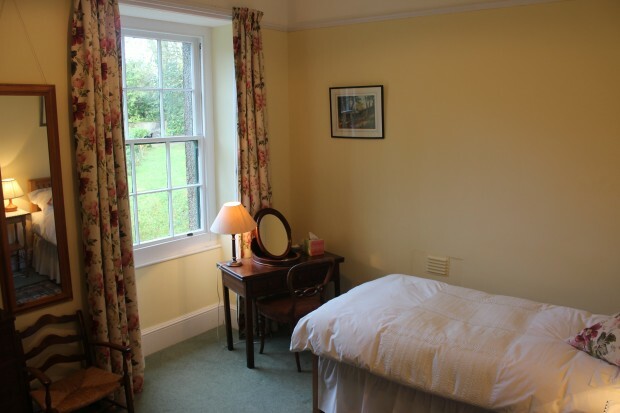 We also have two single bedrooms with a bathroom nearby. Bathrooms are for guests’ use only. 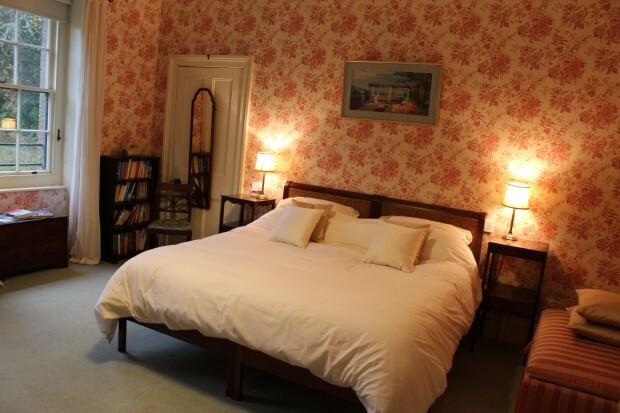 The double bedrooms have Smart TVs, while the single rooms have standard flatscreen TVs. 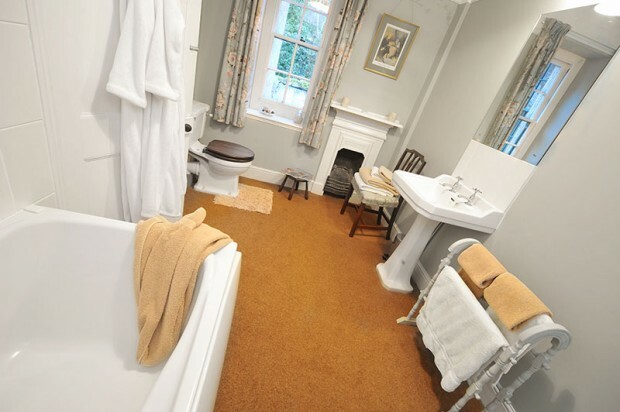 There is disabled access to the bedrooms via a stairlift. We have a large quantity of interesting old books in the library, a piano and two guitars in the drawing room, which we encourage guests to play. 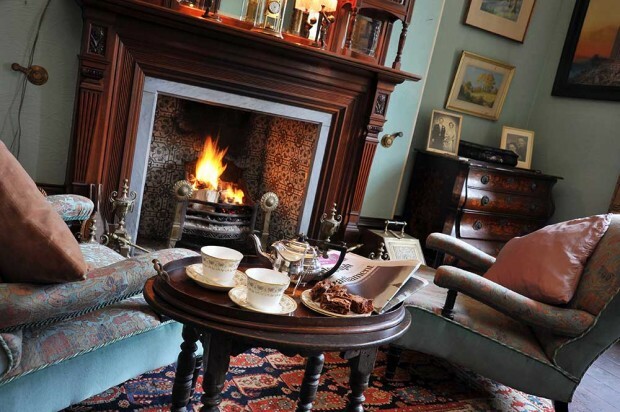 The house has oil-fired central heating throughout and we have a log fire for cooler evenings. We welcome children of all ages and can provide high chairs and cots. 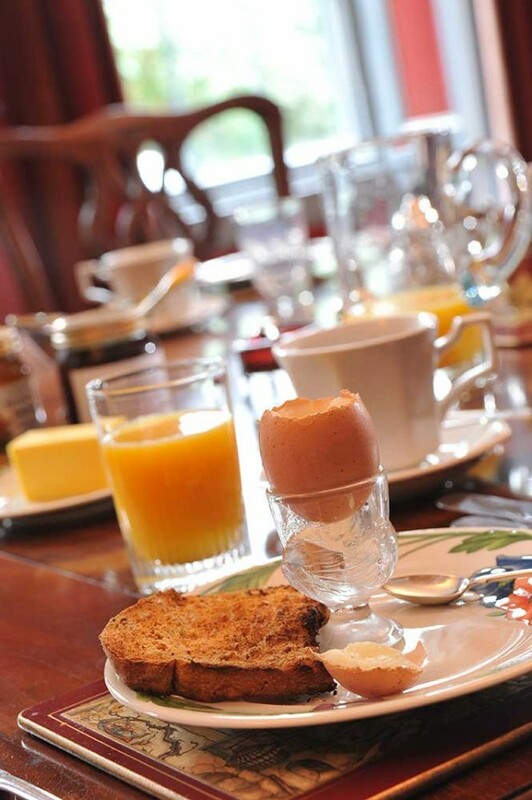 We provide a traditional English breakfast in the dining room amongst family portraits dating back 200 years. 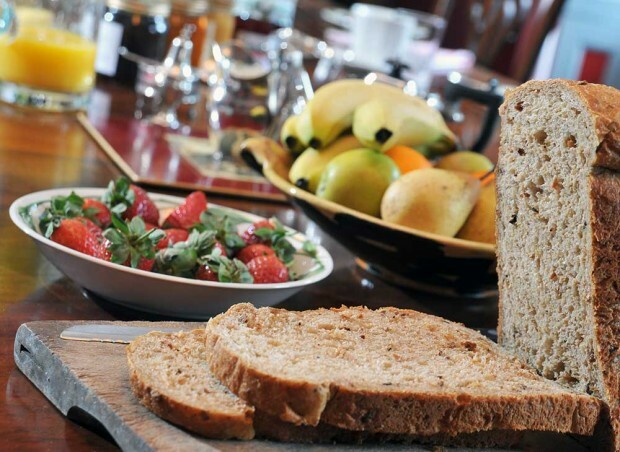 Breakfast includes pure orange juice, cereals, fruit compote, fresh fruit, homemade organic yogurt, home made bread, home made marmalade, and locally sourced where possible. We can cater for special diets if requested in advance. 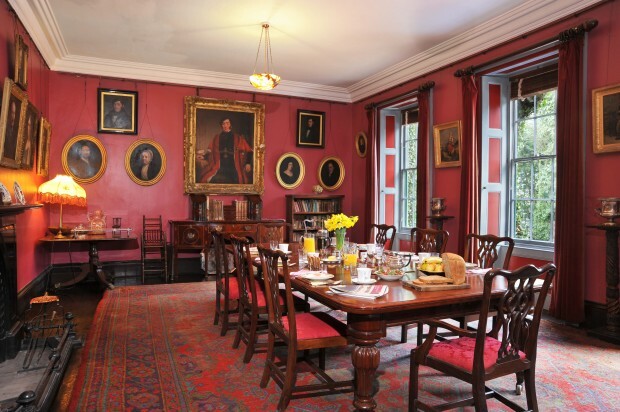 We are also happy to provide supper for guests – cost: from £25 – though please bring your own wine. 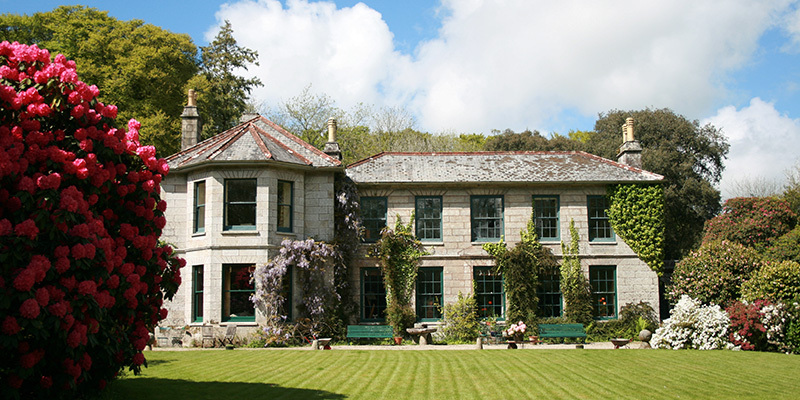 For more information about our family home, full of character, there is a descriptive book available, either here at the house or by ordering online. 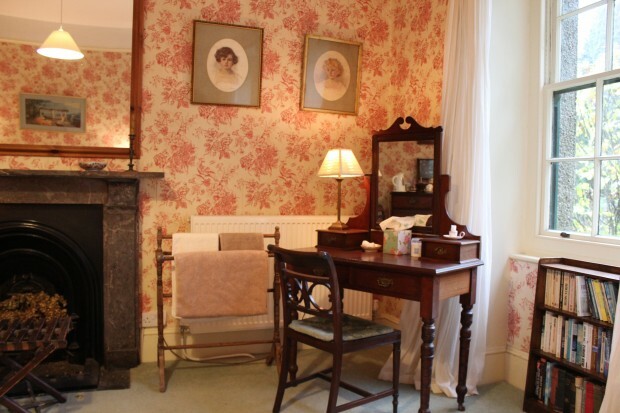 £10.00 per person supplement added for one night stays. To confirm a booking, we ask for a deposit of 50% when the booking is made. 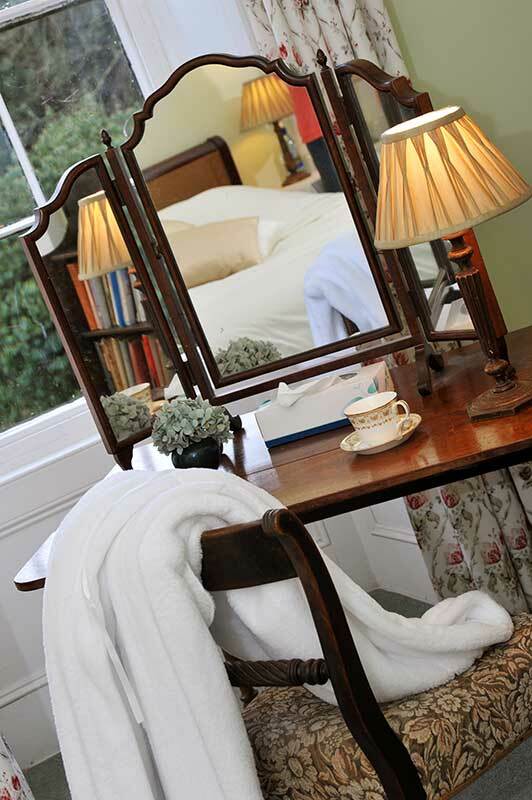 On arrival: Guests may arrive after 4.00pm or earlier by arrangement at the time of booking. For guests arriving before 5.00pm, we will give them tea and something homemade in the drawing room, or outside on the terrace. On Departure: Guests are asked to leave their rooms by 10.30am at the latest. Please note that there is a 2.5% surcharge for credit card payments.